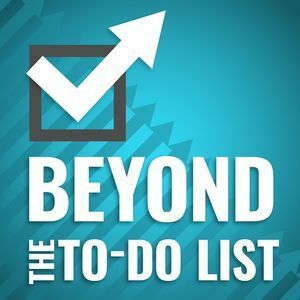 268 episodes of Beyond the To-Do List since the first episode, which aired on August 20th, 2012. James Sudakow talks with host Erik Fisher about how to define your own version of what work-life balance looks like for you and identifying and solving the traps and habits many fall into that get in the way of truly reaching a balance. Mike Sturm on the basics and meaning of productivity: Being, Thinking and Doing. Dave King of Move 37 on the present and future of AI in work and productivity. Jeremie Kubicek talks about what it takes to become a leader worth following. Laura Vanderkam on talks about unlocking possibilities through the use of time on your priorities. Aaron Dignan talks about challenging the assumptions about the future of work, the organizational operating system and making the necessary changes to move forward. Dr. Nathalie Beauchamp on setting up personal prime time in the morning, eating for energy and better focus, the importance of sleep, supporting our adrenals and energy management. Pamela Wilson of Big Brand Strategy talks about content designing a strategy for content creation through different stages of your website. Cal Newport talks about digital minimalism and using digital technology to support your goals and values, rather than letting it use you. Elizabeth Emens on the how the admin tasks of life affects our lives, and how we might avoid, reduce, and redistribute admin. Liz Fosslien talks about un-repressing emotions at work, finding constructive channels for jealousy and anxiety, and demystifying digital interactions and coworker communication styles. Dr. Samantha Brody talks about overcoming overwhelm, dismantling stress and achieving greater resilience. Paul Jarvis on staying small and avoiding growth to have freedom to pursue more meaningful pleasures in life and how to make it work for you. Joey Cofone of Baron Fig talks about how Baron Fig was founded, the meaning behind the name and their design workflow using digital and analog.